We provide unmatched control of your business workflow by fully integrating with your media systems. Our unique approach to intelligent resource management enables you to spend less time focusing on operational details and more on business planning and growing revenue. ScheduALL interfaces with accounting, human resource and ERP systems, creating a 360-degree cost control that increases business efficiencies. 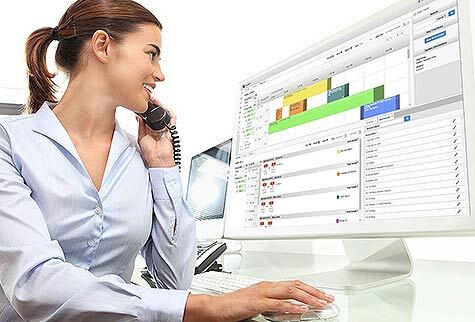 ScheduALL has an intuitive user interface and flexible design, saving administrators time and effort. The ability to quickly navigate the process-driven workflow reduces unnecessary duplication of basic tasks. ScheduALL enables groups of users to manage operations as a central system. User-centricity and interoperability are key reasons why the leading media and broadcast businesses continue to choose ScheduALL to manage their mission-critical operations. We believe in simplifying the orchestration of every process. ScheduALL offers a highly scalable suite of products and services to help you tailor our product to your business environment. See our Operational, Financial and Transmission Modules.